Cue the music! 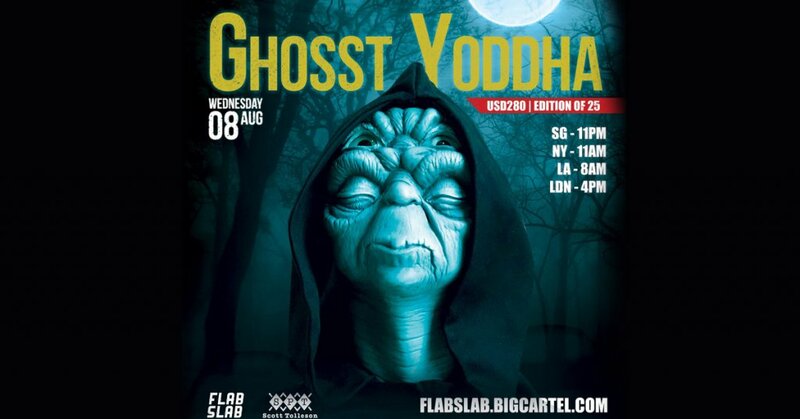 Yoddha by Scott Tolleson x FLABSLAB rises once again. This time with a difference, colour change and NOW comes with a cloak by craftyillustrator. Yoda like you’ve never seen him before right? We had the chance to see one up close and in person a few years back and the level of detail is pretty impressive. Even though we are not true collectors of busts, this Ghosst Yoddha is impressive especially if you are a Yoda fan. This new version should be of the same standard, hopefully, FLABSLAB has used the force. With only 25 made you too must use the FORCE.